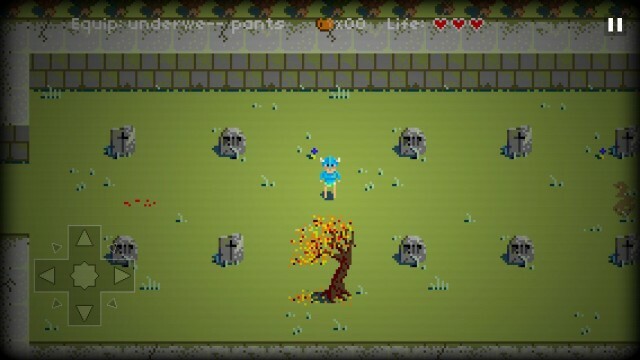 Legend of Equip Pants is an episodic adventure/role-playing game that revolved around the acquisition of pants. You play as Sir Pantsalot as he quests to find, well, pants to wear. You start out partially clothed in armor and generally terrorize the innocent populace with your lack of lower body covering. Each episode is fairly brief and has only a handful of solutions. In the first episode, you must acquire a costume or pumpkin pants to enter a party. 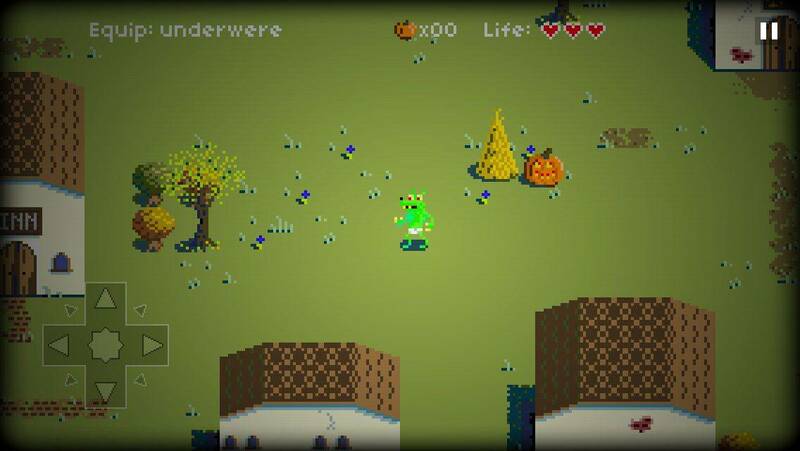 You can either get a pumpkin and take it to the pantsmith or borrow cursed “underwere” that turn you into an underwerewolf! League of Epic Pants hardly takes itself seriously, and these bite-sized levels don’t overstay their welcome. You really only need a few minutes to appreciate the concept of underwerewolves, and the game’s developer realizes this. Amusingly, you can actually talk to the developer at the Inn, and the rest of the world thinks he’s crazy for talking about their world being a video game. I also like the smug way the barkeep in the Inn is actually a microtransaction point where you can buy a drink for the developer with real money. The transaction is ultimately just a way to help fund future episodes of Legend of Equip Pants, so I didn’t feel too bad about forking over a dollar. Legend of Equip Pants is available for free, and you can play two episodes in the initial download. If you enjoy this sketch comedy approach to level design, you can purchase additional levels though they’re still in development. The Good: The writing is charmingly self-aware, which is made more entertaining by how brief the levels are. You don’t feel overwhelmed by the humor. The Bad: I wish you had more than two levels to play! The Verdict Legend of Equip Pants is very silly, but in that old Lucas Arts adventure game sort of way. 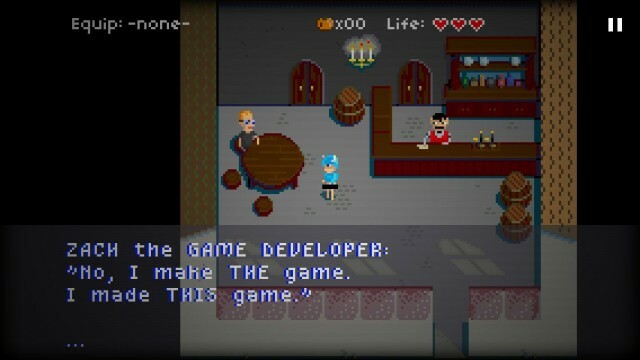 Worth checking out, and if you like it you should buy the developer a drink.